You are here: Home / Reader Favorites / Will Mom Have to File a North Carolina Tax Return? In another article we looked at whether Mom needed to file a federal income tax return. She earned $6,500 working at Burt’s FastBurgers, received $3,000 interest income, and received $19,200 in Social Security Retirement Benefits. We concluded she did not have to file a federal income tax return. We also concluded that none of her Social Security Benefit was taxable, so her gross income for 2018 was just $9,500. But we left open the possibility that she might have to file a state income tax return. You should check your state requirements if your state has an income tax (Alaska, Florida, Nevada, South Dakota, Texas, Washington, and Wyoming have no income tax). 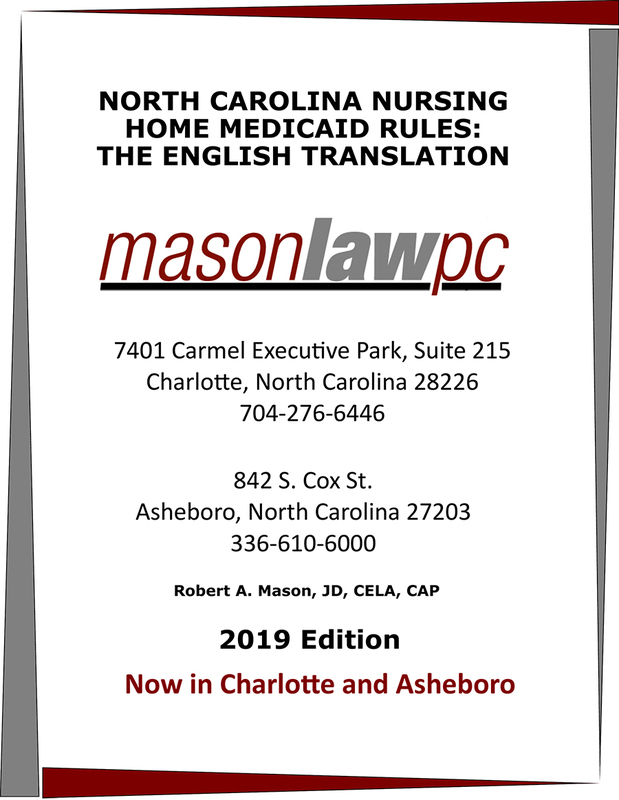 Because Mason Law, PC is a North Carolina elder law firm, let’s just say Mom lives in North Carolina. North Carolina’s filing threshold is lower than the feds. Recall, the feds require a filed tax return if a single person under 65 receives gross income of $12,000 ($13,600 if over 65, which applied to Mom) and a married couple filing jointly if they receive gross income of $26,600 (or $25,300 if one of them is 65 or older). In North Carolina the filing threshold is just $8,750 gross income (as determined under federal law) or $17,500 for a married couple filing jointly. As I’ll further explain in another article, this number includes any federally taxable portion of Social Security benefits, even though North Carolina never taxes Social Security benefits (the North Carolina tax form – D-400 – allows the taxpayer to deduct from federal gross income taxable portions of Social Security before calculating North Carolina income tax). As explained above, Mom’s federal gross income was $9,500. Dagnabit! Because of that $750 extra gross income ($9,500 – $8,750), she’ll need to file a D-400 (North Carolina Individual Income Tax return), and because she has to file a North Carolina return she’ll have to file federal return (even though, alone, the feds wouldn’t require one). The North Carolina tax won’t really hurt, but filing those returns might be a bit irritating. Oh, well.